We are living in rather interesting and challenging times, with almost everything heading south. The stock market, the ringgit, gold, commodities (oil and palm oil) have all dropped tremendously over the past few months. This situation is not just peculiar to Malaysia. Several of our neighbouring countries/markets, including Thailand, Indonesia and even Australia are badly affected. Unfortunately for Malaysia, inflation in 2015 can be expected to reflect a painfully noticeable increase of at least 5% to 10%, largely influenced by the implementation of the 6% Goods and Services Tax (GST) from April 1, 2015. 1. Are we in a crisis-like situation like what we went through during the 2008/09 Global Financial Crisis or the 1997/98 Asian Financial Crisis? 2. Are we seeing more opportunities around us and capitalising on them? 3. If you do not do anything to protect your investment portfolio, you might end up losing. 4. Try to diversify in these volatile climes and uncertain markets, and you might end up losing. 5. Would it be best to do nothing, just sit tight and ride out the financial storms? 6. Finally, is it time to thrive or time to just survive? Let us analyse how these factors affect the real estate market and investors in particular. 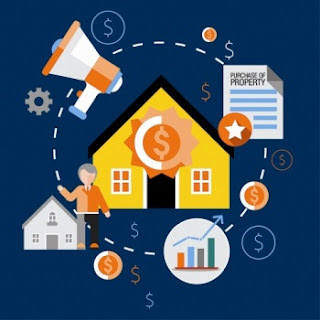 Most property investors have made tonnes of money in the last five years when prices rose by 30% to 50% depending on the property type and location. Is it time to brace for a price correction and losses? While many people are focused on prices, what is equally, if not more important, is the cash-flow aspect of property investments. Property investors, who had bought from developers a few years ago and are expecting to receive their keys within the next six to 12 months, are going to be in for a nasty shock. Upon completion, new developments will need some time for the market to absorb, whether it is for the purpose of sale or rental/leasing. In Malaysia, it's very common for new properties to remain vacant for at least 12 months as most tenants would be reluctant to be the first few to move into an empty block of apartments. It is also not easy to sell as prospective buyers would have plenty of choice from among the empty units. Further, he will probably be fishing for the best available deal from a desperate seller. Even if you are lucky enough to find a buyer, he may not be able to qualify for a bank loan due to more stringent credit requirements. During this time, the bank instalments and service charges would have started while the vacant property you now own remains unproductive. One middle-aged couple I know have been sitting on two empty bungalows in a gated and guarded development in Cheras for the past 12 months. Even though prices have appreciated by 30% and they have "paper profits" of RM700,000, their combined negative cash-flow is close to RM15,000 per month. They are ... unable to rent it out as the area has no ready pool of expat tenants willing to pay rents of more than RM5,000 per month. They are finding it difficult to sell due to the economic slowdown and difficulty for new buyers to obtain loans. When asked how much savings they had to cover the negative cash-flow, I was informed that they had just enough to last for another two years maximum. Clearly for this couple and many others in their shoes, it is now a question of survival. For those who have the cash and the borrowing ability, now is clearly a time to thrive by taking action. There are many great deals out there waiting for you to uncover. Start with places you are familiar with such as your neighbourhood, your office area or places you go to frequently.